New research at the Israeli Weizmann Institute finds that a bit of social pressure may be all that is needed to falsify memory. New research at the Israeli Weizmann Institute has founded that a bit of social pressure may be all that is needed to falsify memory. The study, conducted by Prof. Yadin Dudai and research student Micah Edelson of the Institute’s Neurobiology Department with Prof. Raymond Dolan and Dr. Tali Sharot of University College London, took place in four stages. In the first stage, volunteers watched a documentary film in small groups. They returned to the lab individually three days later, where they took a memory test, answering questions about the film. They were also asked how confident they were in their answers. In the next stage, the volunteers were invited back to the lab to retake the test while being scanned in a functional MRI (fMRI) that revealed their brain activity. This time, the subjects were also given a “lifeline” in the form of the supposed answers of the others in their film viewing group (along with social-media-style photos). Planted among these were false answers to questions the volunteers had previously answered correctly and confidently. The participants conformed to the group on these “planted” responses and provided incorrect answers nearly 70% of the time. In order to find out whether the viewers were simply conforming to perceived social demands or if their memory of the film had actually undergone a change, the researchers invited the subjects back to the lab to take the memory test a third time, telling them that the answers they had previously been fed were not those of their fellow film watchers but random ones generated by a computer. Some of the responses reverted back to the original, correct ones, but close to half remained erroneous. This implies that the subjects were relying on false memories implanted in the earlier session. An analysis of the MRI data found that there were differences in brain activity between the persistent false memories and the temporary errors of social compliance. 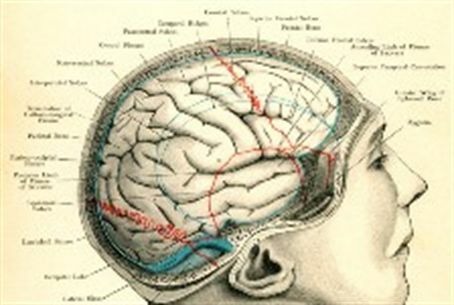 The most outstanding feature of the false memories was a strong co-activation and connectivity between two brain areas: the hippocampus (known to play a role in long-term memory formation) and the amygdala (known as the emotion center of the brain and which plays a role in social interaction). The Weizmann Institute of Science is located in Rehovot, Israel, and is one of the world's top-ranking multidisciplinary research institutions. It is noted for its wide-ranging exploration of the natural and exact sciences and is home to 2,700 scientists, students, technicians and supporting staff. The Weizmann Institute’s research efforts include the search for new ways of fighting disease and hunger, examining leading questions in mathematics and computer science, probing the physics of matter and the universe, creating novel materials and developing new strategies for protecting the environment.